I love Cameron Park Zoo here in Waco. Its a small zoo, but well taken care of, with lots spots for kids to stop and play in. We always enjoy visiting. And we always take lots of pictures when we go. 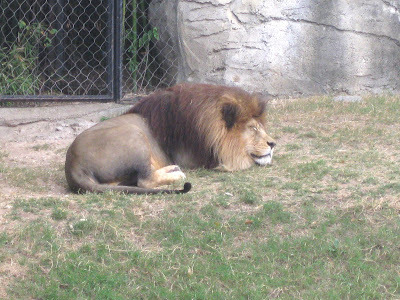 Here's one we got of a napping lion. 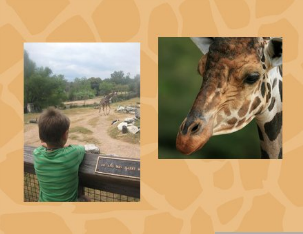 I just learned that Cameron Park has opened a photo site, Cameron Park Zoo Photos, where you can make photo gifts like posters, cards, and photobooks, and 25% of the profits go to support Cameron Park! And, now through April 22, Big Photos will donate one dollar for each new user that registers on the site! Since Cameron Park is a non-profit that sometimes struggles for funding, I'm glad to have another way to help them out. ...but you didn't get any good close-ups of the giraffe to go along with it. 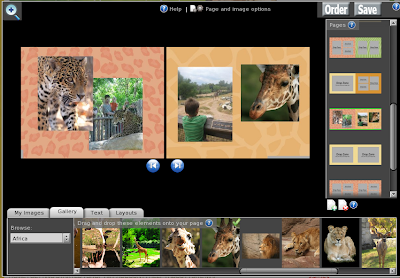 If you are making a photo book through CameronParkZooPhotos.com you can pick out one of their great giraffe photos to use alongside your own photos. 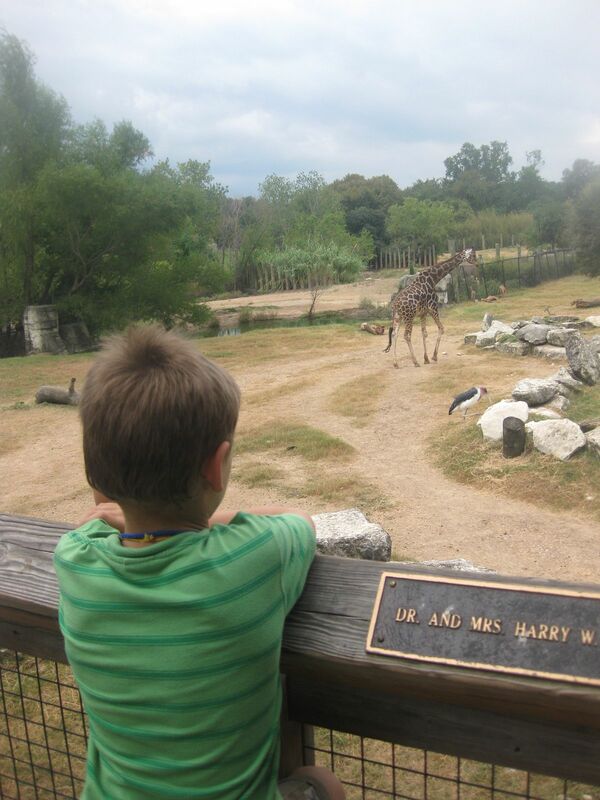 All the photos in their galleries are of Cameron Park animals, so you can feel happy knowing the pictures you choose are of the actual animals you saw at the zoo. 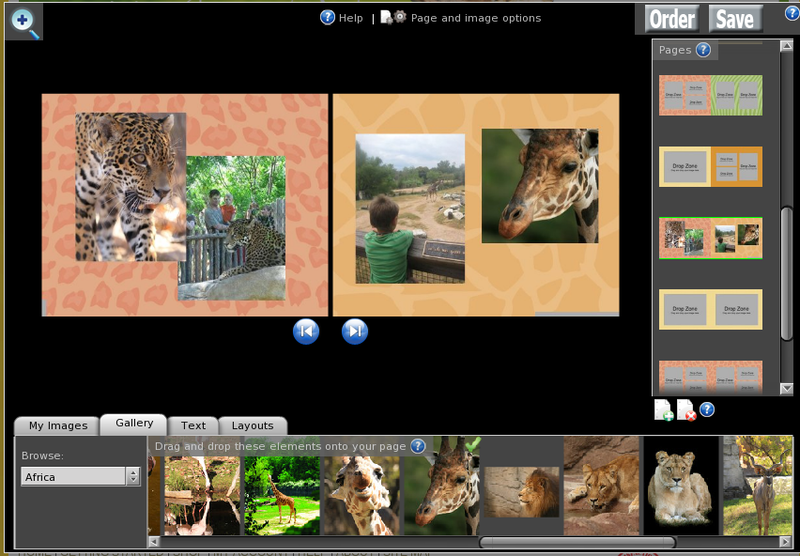 And it's easy to move and resize pictures, change the layout, or add text, too!